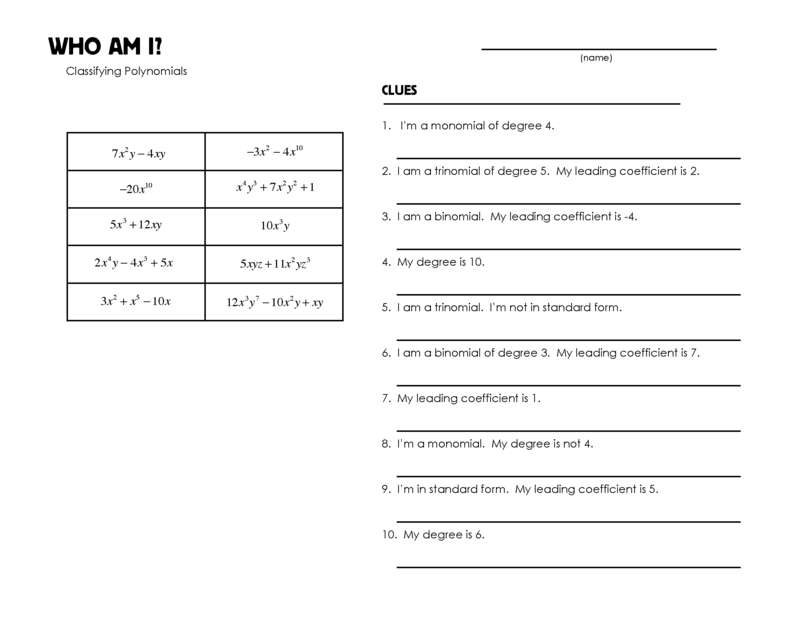 I have been making more of these “Who Am I” style worksheets where the students are given a set of clues and possible answers, and they need to figure out which answer works for which clue. I would consider this a graphical organizer and a puzzle activity, since all the information is already organized, and the students are making connections between the answers and the clues. The worksheet for graphing slope intercept has exactly one right answer for each clue. The one for classifying polynomials has a couple right answers for some of the clues. I think my next “Who Am I” worksheet will have some answers that do not fit any of the clues, which will take away any process of elimination technique the students may be using.